All Jonesville homes currently listed for sale in Jonesville as of 04/20/2019 are shown below. You can change the search criteria at any time by pressing the 'Change Search' button below. If you have any questions or you would like more information about any Jonesville homes for sale or other Jonesville real estate, please contact us and one of our knowledgeable Jonesville REALTORS® would be pleased to assist you. "Escape the hot summer nights of the valley by enjoying the cool mountain air at your very own updated cabin in the woods. Spend your days fishing, swimming and exploring the local creek and trails and while your evenings are spent roasting marshmallows over the fire while taking in the picturesque meadow views. 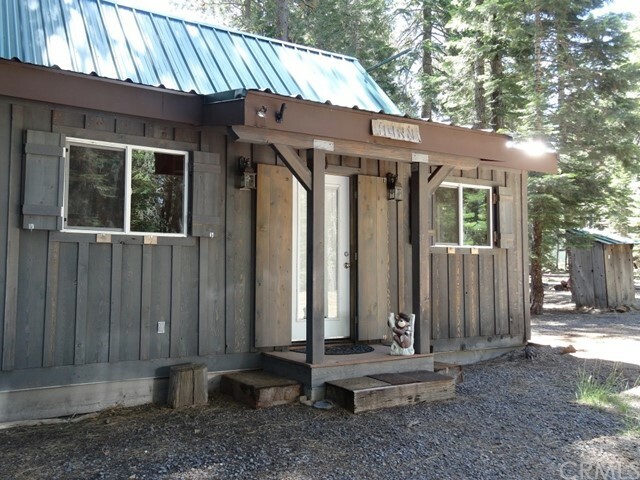 This beautiful cabin had a major overhaul in 2007 and 2010; it was taken down to the studs and transformed into the home you see today with tongue and groove pine, laminate flooring, and updated kitchen with newer appliances. Furnished and ready for fun. Summer memories to be made! The land is leased from Jonesville Cabin Owners Inc and seller has 2 voting shares. Seller pays $600 a year in association dues to covers trees/trimming and fire control and $789 in yearly taxes to the county. (The information contained herein has been obtained through sources deemed reliable but cannot be guaranteed as to its accuracy. Sq. ft., bed/baths , & lot size taken from public records/or estimated.. Buyer is advised to investigate to their satisfaction.)"